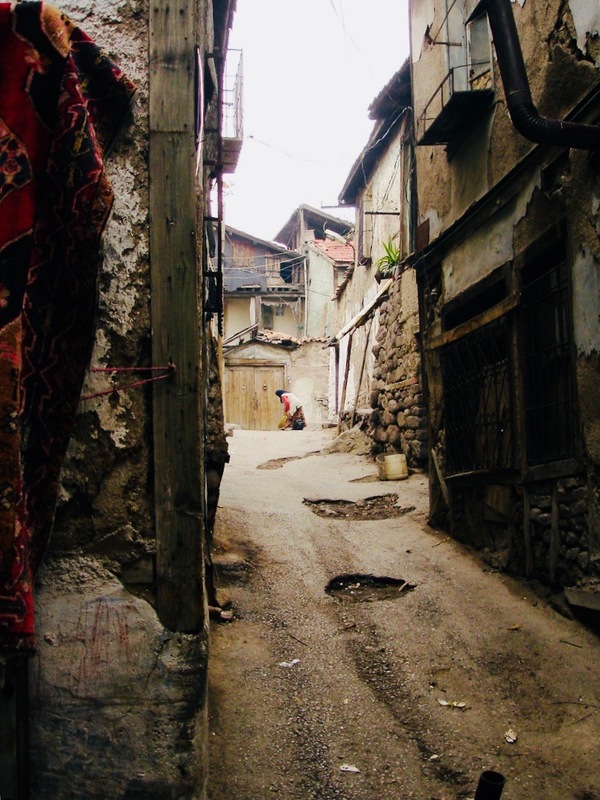 Last week’s post on my hometown in Ohio stretched the geographic boundaries of a blog that promises “Travel and Adventure in Central Europe.” Trigger warning: this week’s post does as well, as we travel this time to the middle of the Anatolian peninsula in Turkey. 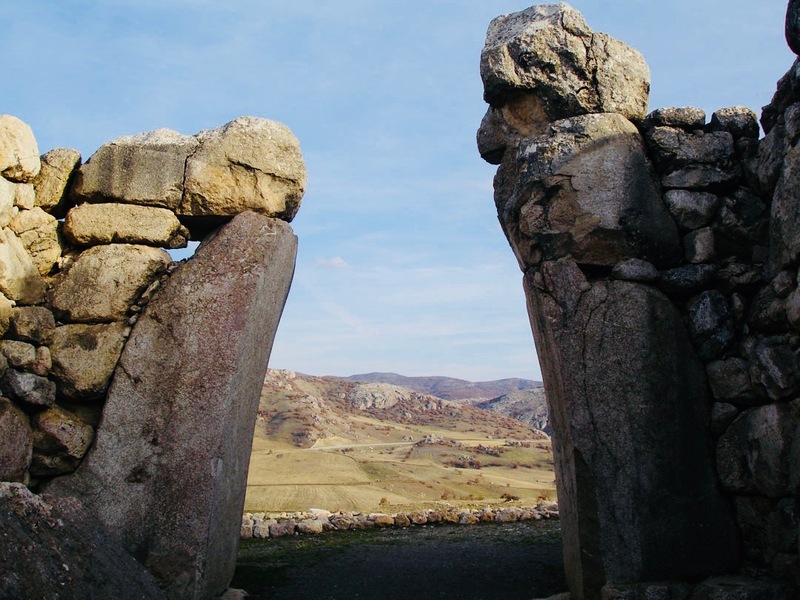 But there is a genuine Central European connection here, and an amazing (and little-known) story to tell of a brilliant Czech linguist whose insights a century ago helped us to crack the Hittite language and, in the process, teach us much about our own origins. Posted in Diversions, Life In Prague, On The Road and tagged Ancient, Ankara, Archeology, Civilizations, history, Hittite, Turkey. 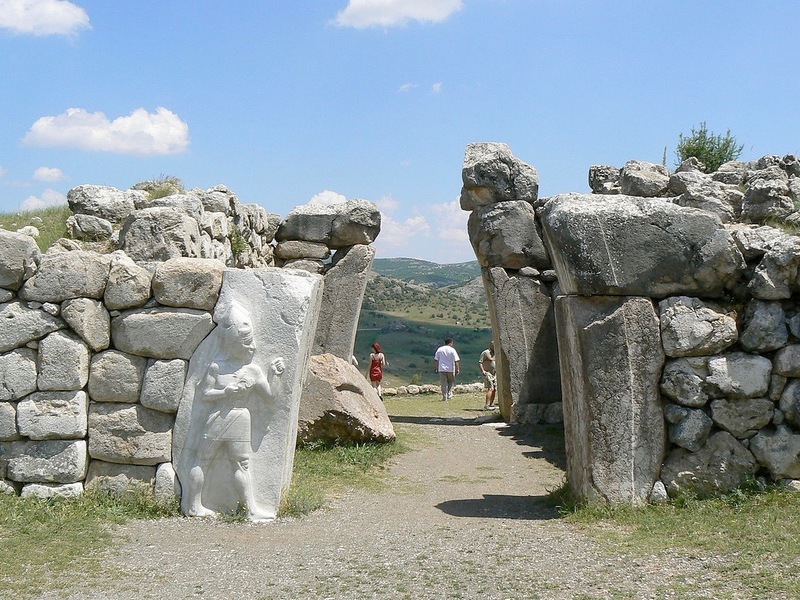 View through the King's Gate, one of the main entryways into the old city of the Hittite capital, Hattuša, showing the barrenness of the surrounding countryside. Photo by Mark Baker. A close-up of the relief etched into the side of the King's Gate in Hattuša. Photo by via Wikimedia Commons by Carole Raddato. Another view of the King's Gate, which must have looked phenomenal back in the day. Very little of the former fortifications is still standing. Photo credit: Rita1234 via Wikimedia Commons. 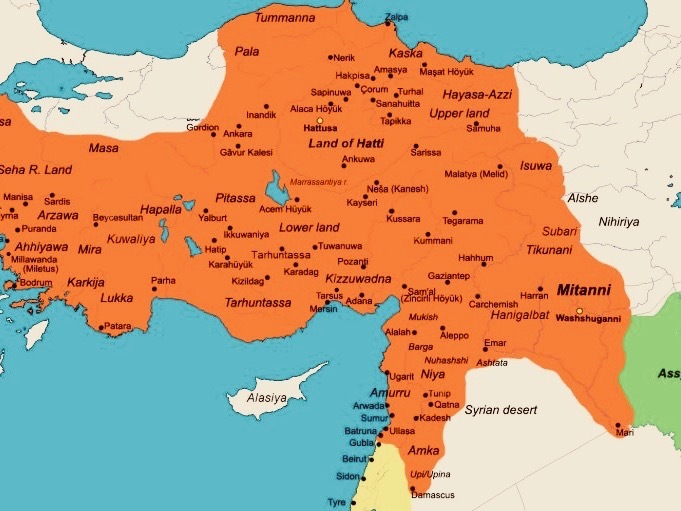 The extent of the Hittite Empire, circa 14th century BCE. Hattusa can be seen toward the north-central part of region. The city of Kadesh is to the south, near the border with Egypt (marked in yellow). Credit: Ancient Encyclopedia. By deciphering this simple sentence, practically the most banal thing one can write (and the title of this blog post), the early-20th century Czech linguist Bedřich Hrozný cracked one of the most vexing riddles facing archeologists and orientalists of his day: how to read the pictograms etched on thousands of clay tablets stretching back more than 3,000 years that had recently been found in central Turkey. The chance discovery of the cache of tablets, by French and German archeologists in the late-19th century, stunned the world at the time and proved beyond doubt the existence of an obscure tribe -- the Hittites -- that until then had only been known from a few scant references in the Bible. Hrozný’s genius would flesh out this empire and show us how powerful and developed they really were. I don’t want to get ahead of the story here, though. 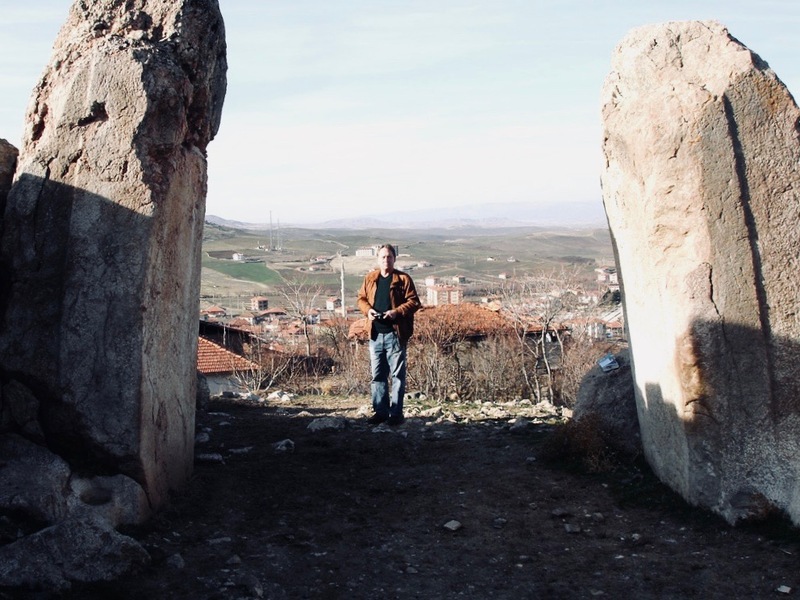 I would never have learned anything about the Hittites or Hrozný if it weren’t for a proposal I received a few years back from an old friend of mine and fellow journalist, Colin, who had recently retired from journalism and was working on a manuscript set in Turkey. Colin asked if I might have some free time to accompany him around the country to help him get a better feel for the place and collect some details for the book. I had just left my own editing job at Radio Free Europe in Prague and had some free time on my hands. I accepted, and we arranged to meet on a chilly late-autumn day in Istanbul. From there, we would embark on a road trip all around Turkey with nothing more on the agenda than to ride around and take the pulse of the place. 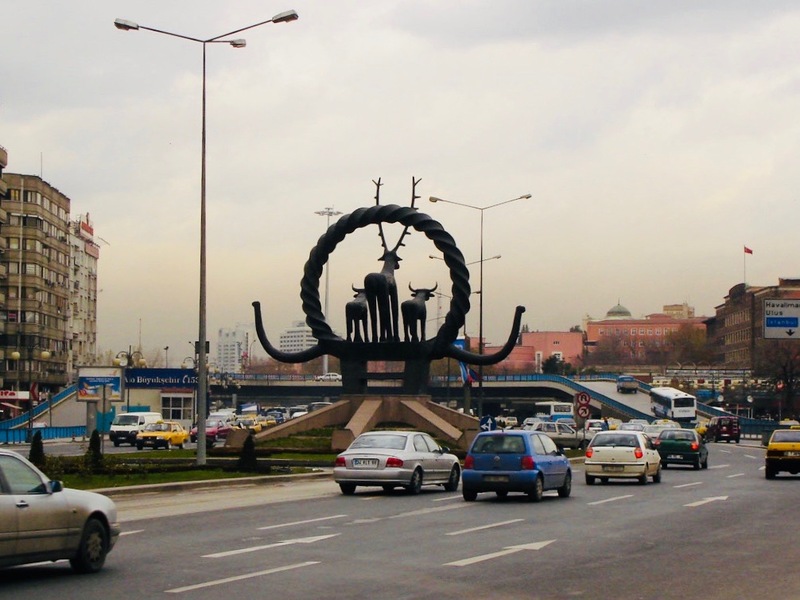 I believe one of the riddles Colin needed to solve for the book was to see how long it would take us to drive from the Turkish capital, Ankara, to Izmir (or something like that). The answer: longer than you think. 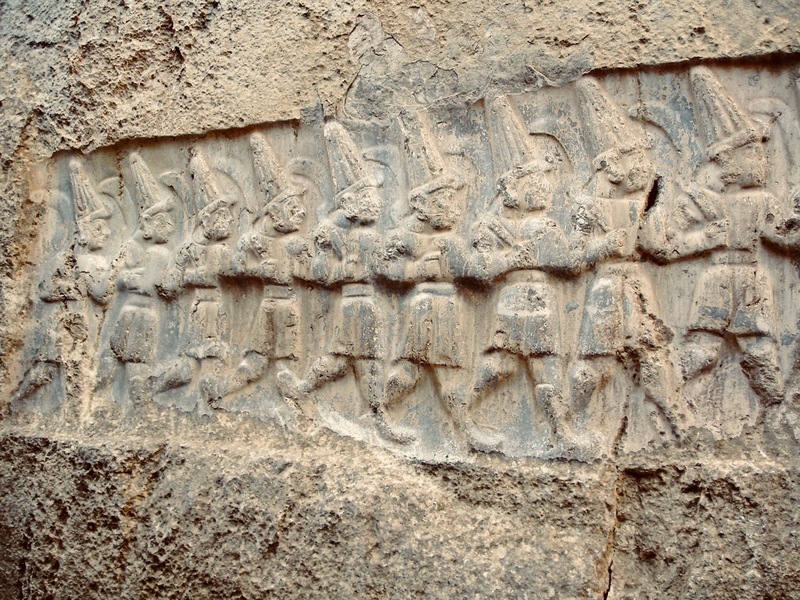 The Hittites were apparently a warlike people, and many of the reliefs depict marching warriors. Photo by Mark Baker. Hattuša's location, in a lifeless part of north-central Anatolia, seems an odd place from which to lead an enormous empire. No wonder archeologists couldn't believe they stumbled onto the Hittite capital when they did. Photo by Mark Baker. Colin standing in the doorway of one of the main gates at Hattuša. Photo by Mark Baker. The hills surrounding Hattuša provided a natural barrier to external attack, but the city's isolation may have hurt it in the longer run. Photo by Mark Baker. 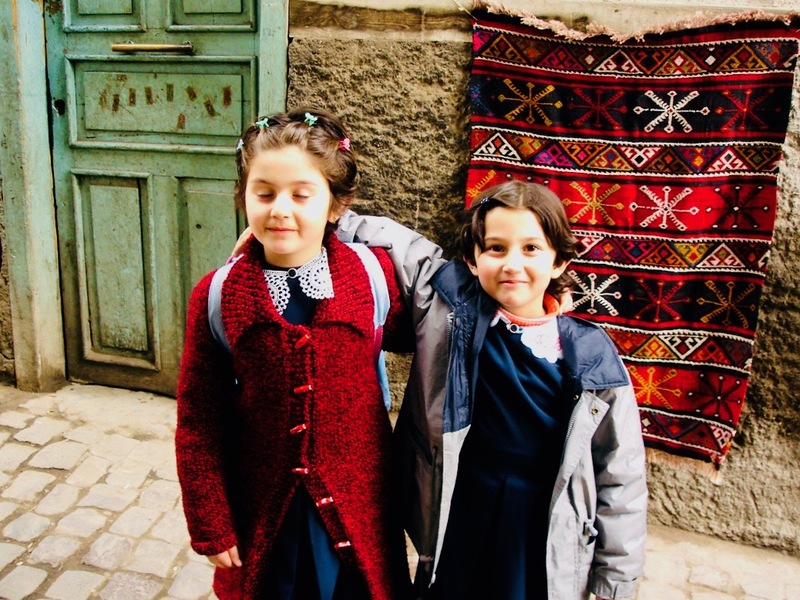 We had a blast on our days in Istanbul and, later, traveling around central Anatolia and Ankara (I've also posted a few photos of Istanbul and Ankara below). All that time in the car left us plenty of opportunity to chat and catch up. 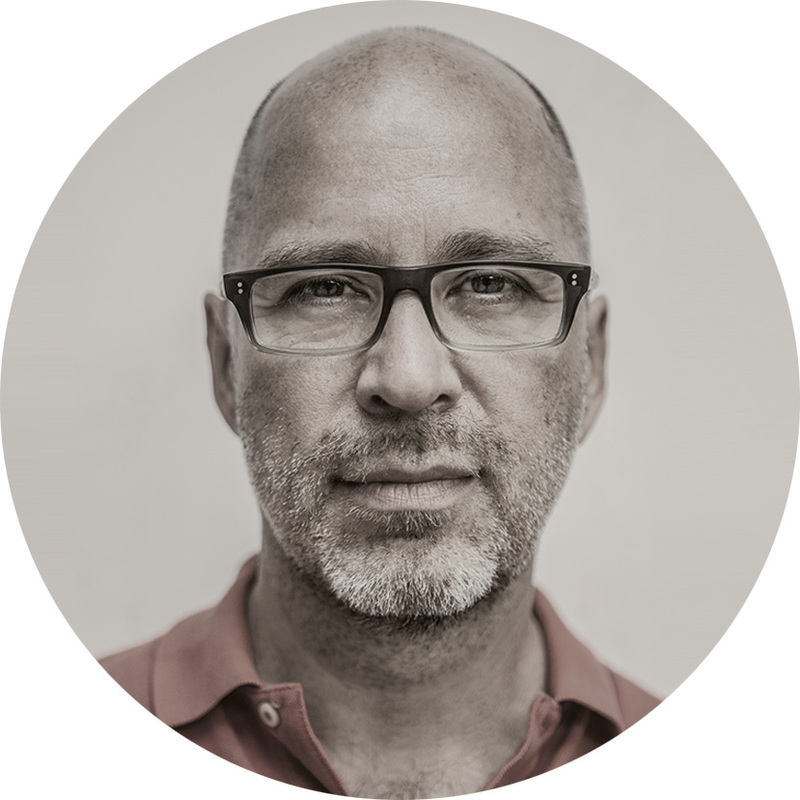 Colin is one of those guys you might call a genuine polymath, with an interest in a wide -- and eclectic -- range of topics. These included, among other things, Turkish military coups (useful when riding around Turkey) and "Rebetiko," a soulful style of Ottoman-influenced Greek music. For the purposes of this article, as it happens, he also knows reams and reams about archeology and antiquity. One of the places Colin especially wanted to visit was the small city of Boğazkale, about 120 miles (200 km) east of Ankara. While Boğazkale, itself, was nothing special, he explained, it was close to Hattuša (Hattusha), the old capital of the ancient Hittite empire. It was a place he’d always wanted to see with his own eyes. I suppose I must have seemed dumbfounded at the time. Like everyone else, I guess, I’d assumed the Hittites were just another tiny, long-disappeared (or perhaps never-existed) tribe that pops up here and there in the Bible or in a church reading of some kind or another. I had never given them a second thought. Our trip to Hattuša, though, would open up my eyes to a phenomenally advanced civilization for its day, and to a tale of linguistic cryptography worthy of Alan Turing (and maybe even Benedict Cumberbatch treatment). 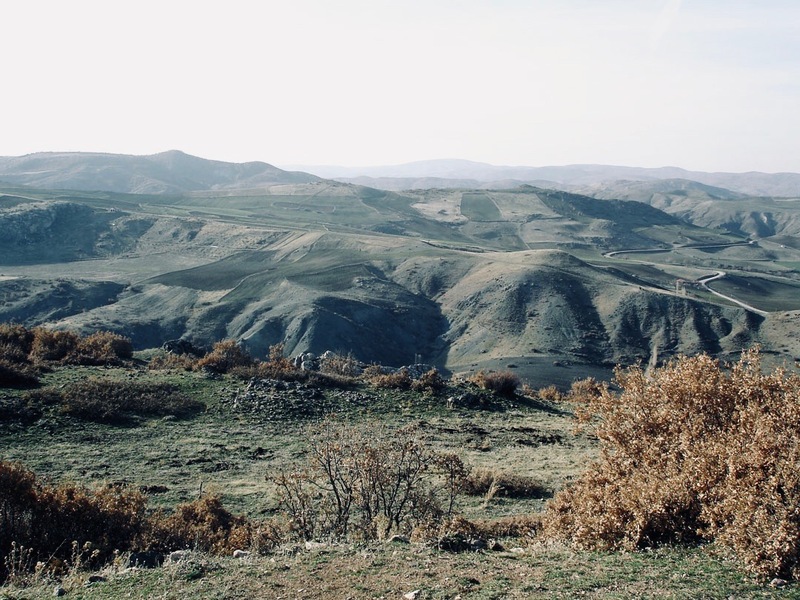 The featureless Anatolian countryside surrounding Hattuša. Photo by Mark Baker. 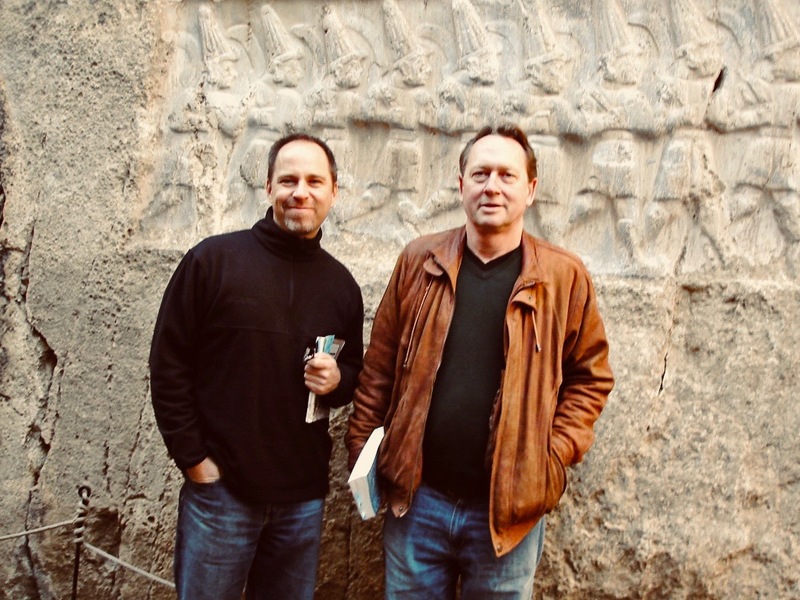 Colin (right) and I standing in front of a surviving relief of Hittite soldiers on of the walls of Hattuša. This photo was probably taken by our guide, but I can't recall. A typical Hittite relief carved into one of the walls of Hattuša. Hittite figures are often easily identifiable by the pointed hat and other costume details that widely repeated. Photo by Mark Baker. 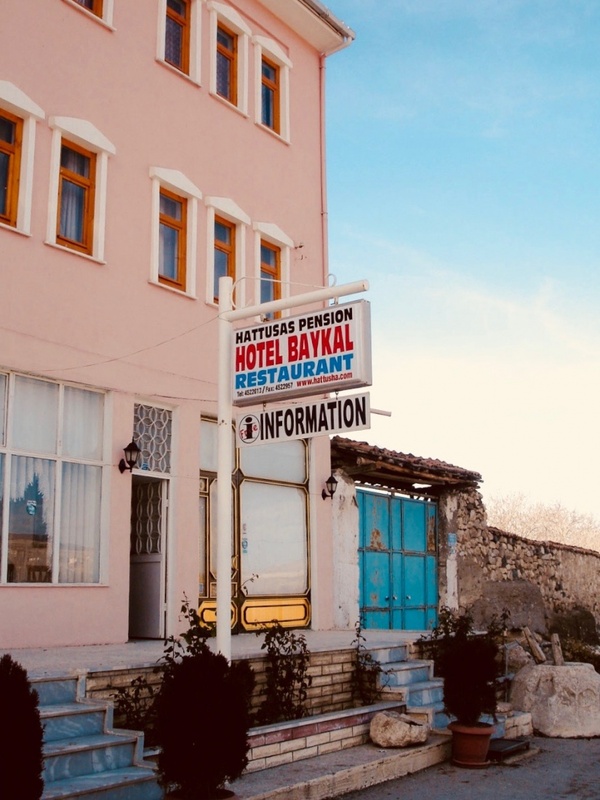 This is one of the few decent places to stay in Boğazkale, close to Hattuša. In my notes, I've titled this photo 'freezing pension,' and I remember my room really was pretty cold. Photo by Mark Baker. So, what was Hrozný’s act of genius in cracking the code of the clay tablets? While I’m no expert in linguistics, the way I understand it is like this: the Hittite tablets were etched in standard cuneiform writing – in other words, in the symbols originally developed by ancient Sumerians and used by many other civilizations across Mesopotamia. The language itself, however, was unique (and unintelligible). Cuneiform is a kind of hybrid “alphabet” in that some symbols denote actual objects – such as “king” or “bread” – that are common across civilizations, while other symbols are used to stand in for words or syllables of words that form part of a distinct language. The principle is not unlike modern emoji or texting language. For example, if you send someone a text on your phone that says “U 2?” (as shorthand for “you too?”), you’re using a kind of pictogram. The “U” and the “2” are symbols that are recognizable across many languages, but the words they represent, “you” and “too” in this case, are unique to English. Once linguists succeeded in separating out which pictograms were actual things and which were merely symbols or syllables of other words, they were still left with the challenging task of deciphering the language. 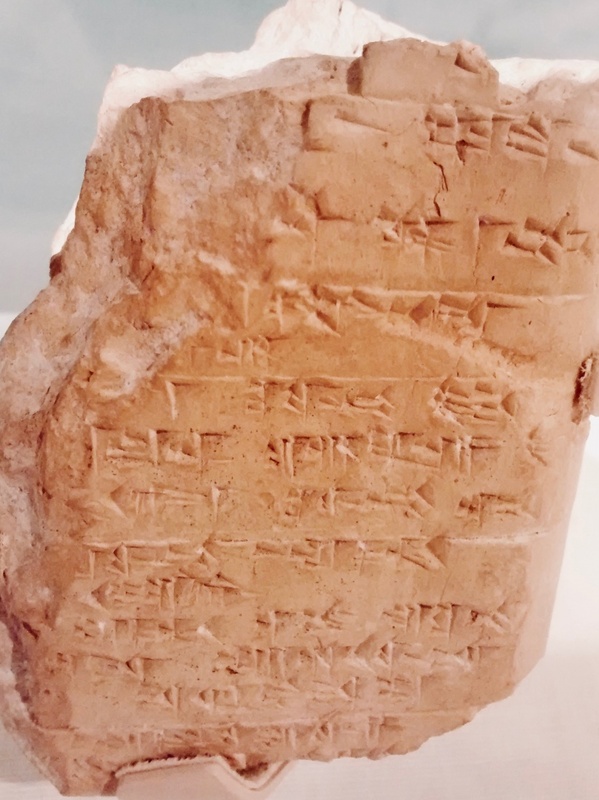 As linguists and orientalists poured over the Hittite tablets in the early-20th century, they naturally assumed whatever language the Hittites used, it must have belonged to the Semitic family -- the same group that includes Arabic, Hebrew, and Aramaic. It only made sense given the location of Hattuša and what was believed to be the geography of the Hittite empire. That initial assumption, though, had until then yielded little in the way of understanding. This is where Hrozný steps in. As a conscript in the Austrian army in World War I, he apparently had hours and hours to contemplate the Hittite tablets. One day as he was considering a tablet etched in symbols that corresponded to the words “nu ninda-an ezzateni watar-ma ekuteni,” he had his eureka! moment: Hittite wasn’t a Semitic language at all, but rather an early form of Indo-European language – the same linguistic family that includes English, German, Czech and many other modern European languages. "Now we will eat bread and drink water." It was just a matter of time before the entire language was cracked. Hrozný published the first Hittite grammar book in 1917. Today, we can read Hittite, a language developed more than 3,200 years ago, as easily as we can read French or German -- or even Czech (which says something!). 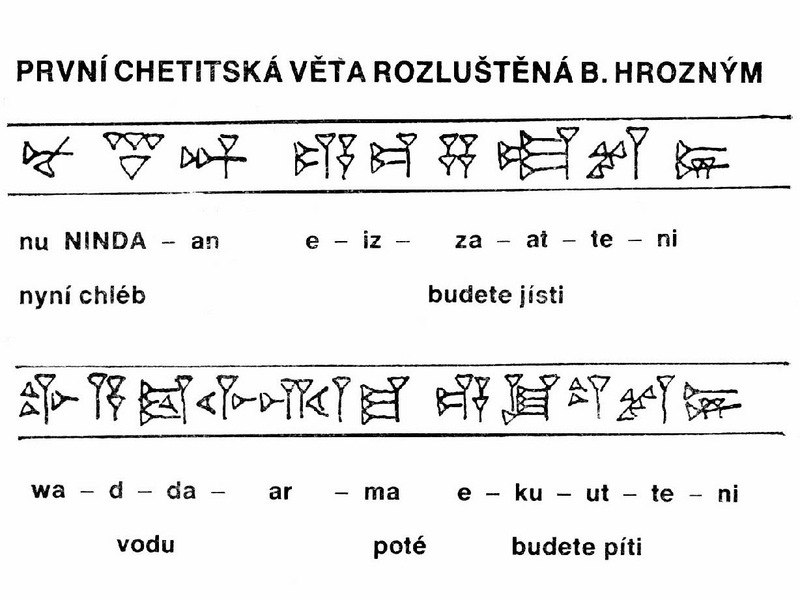 A scan of the very first Hittite sentence, showing the cuneiform symbols, translated (into Czech here) by linguist Bedřich Hrozný. Photo credit: from the archive of photographer Jiří Klíma, via Wikimedia Commons. 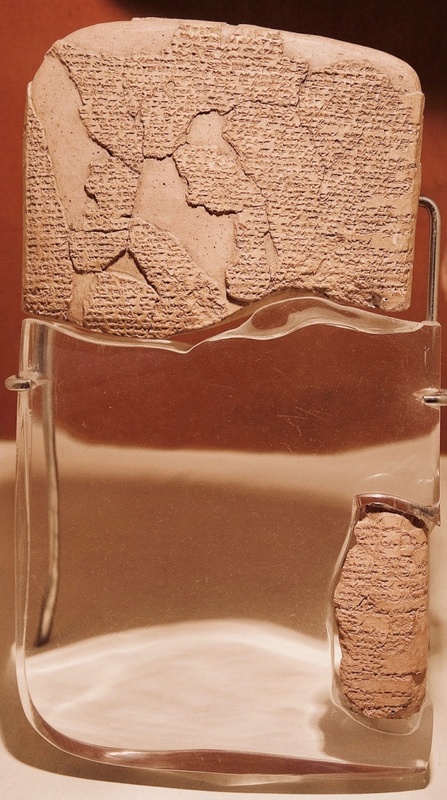 A surviving fragment of the Treaty of Kadesh at the Istanbul Archeology Museum. Photo credited to Monsieurdl via Wikimedia Commons. 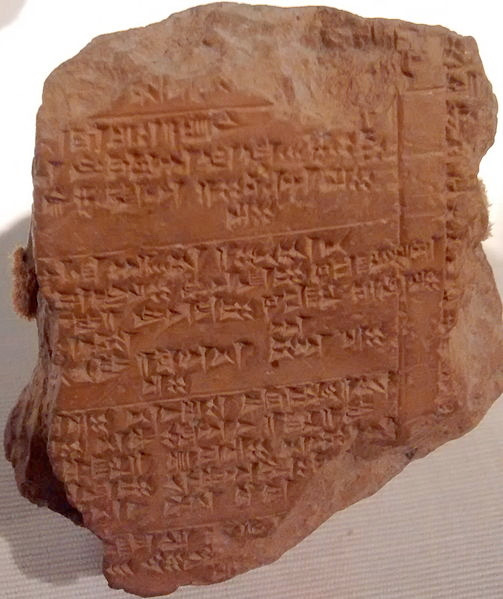 A Hittite legal deposition, dated to the 13th century BCE, etched in a clay tablet on display at Chicago's Oriental Institute. Photo credit: Mx Granger via Wikimedia Commons. Hittite tablet on display at Chicago's Oriental Institute, depicting a Cult Festival. Photo credit: Mx Granger via Wikimedia Commons. When looking back at mankind’s great political achievements, we tend to exhibit a strong case of recency bias. The American Constitution (1787), the Magna Carta (1215), the high point of the Roman Empire (100 CE), and even the rise of Athenian democracy (5th century BCE) all came centuries after the Hittites. The clay tablets revealed a highly developed civilization, with an intricate legal code and surprisingly sophisticated social interactions. From personal letters etched on the tablets, we’ve learned much about Hittite commerce, health, love affairs, marriage, and even divorce. It was a thoroughly modern society. Colin and I ended up spending a couple of days in and around Boğazkale, rambling through the ruins of Hattuša and visiting other old archeological digs nearby. 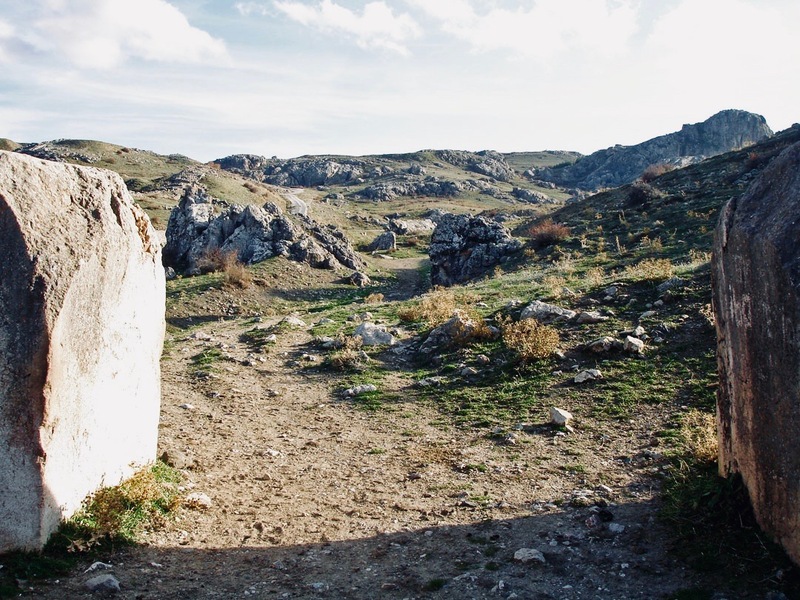 They're still carrying out research in the area and trying to answer some basic questions, including why the Hittites chose such a remote and unforgiving landscape for their capital city. The Hittites’ greatest historical moment, arguably, came in the epic “Battle of Kadesh,” which pitted thousands of Hittite charioteers against the mighty Egyptians, led by Pharaoh Ramesses II (1279-1213 BCE). The battle, in modern-day Syria, took place in or around 1274 BCE and ended, by all accounts, in a draw. The Treaty of Kadesh, negotiated 15 years later, ended the fighting and is considered the first treaty of its kind between squabbling empires. Originals of the treaty have been discovered in both Egypt and Hattuša (in 1906), and a copy is on display at the United Nations in New York. Whether it was due to the rise of a mysterious group of conquerors, called the "Sea People", or some other cause that brought the Hittite empire down, we may never know. 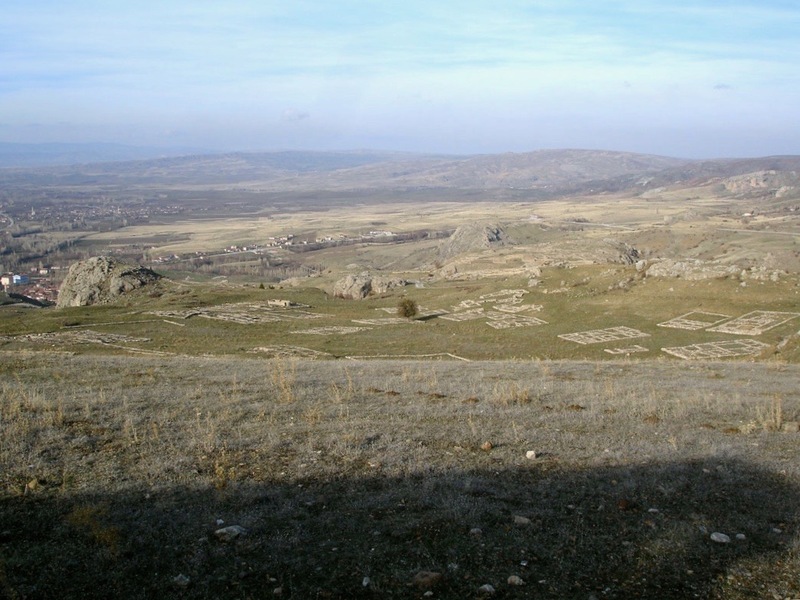 The area around Hattuša was resettled sporadically in the centuries following the fall of the Hittites, but no lasting civilization ever again took root, and the area remained largely uninhabited for centuries until French and German archeologists started their digging in the 19th century. Radio Prague did a very good radio piece on Hrozný and the Hittites in 2009. Listen to it here. Welcome to Ankara. After hanging out in the provinces for a few days, it was nice to be back in the big city again. Photo by Mark Baker. 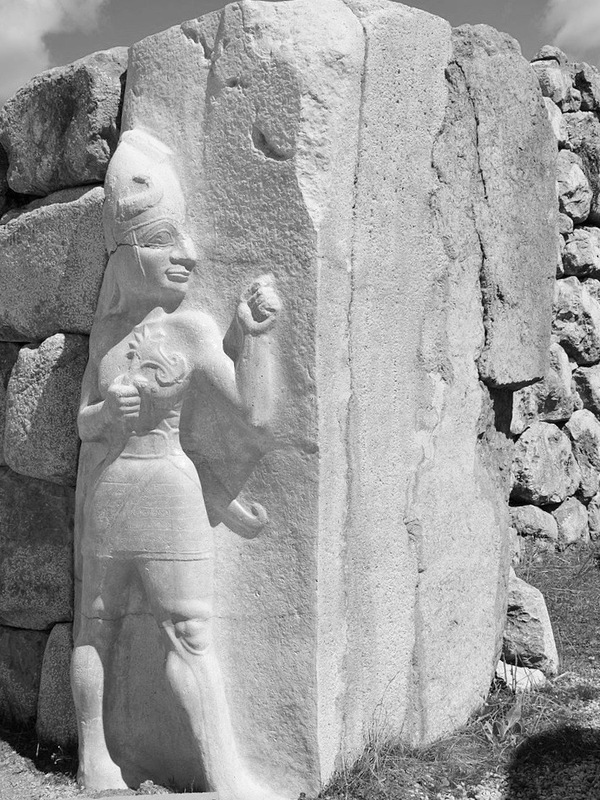 Relief of Hittite warrior that once stood at the main gate in Hattuša. 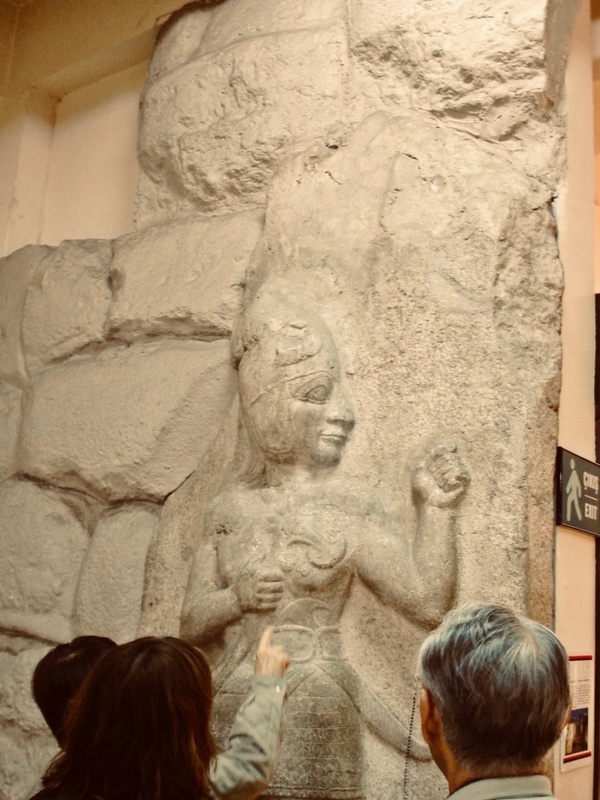 This relief and many other Hittite objects are on display at Ankara's terrific Museum of Anatolian Civilizations. Photo by Mark Baker. 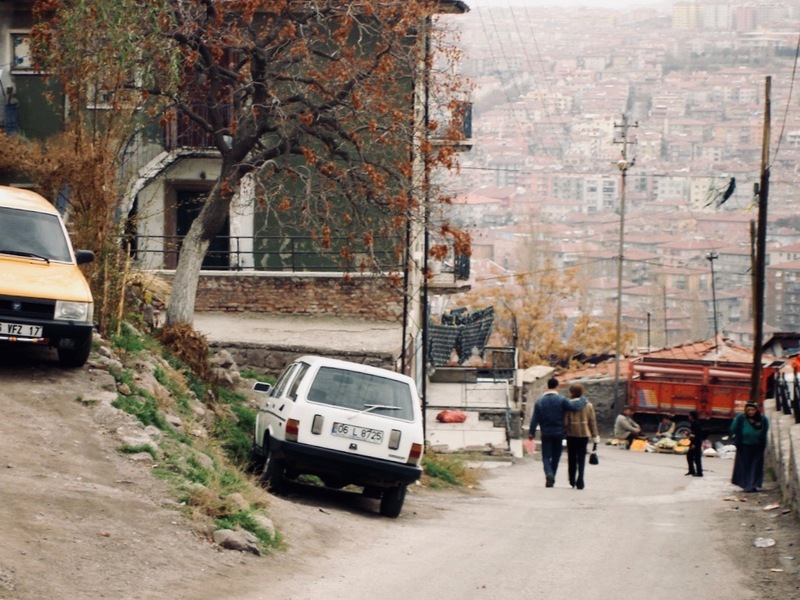 A shot from Ankara's atmospheric citadel district. Photo by Mark Baker. 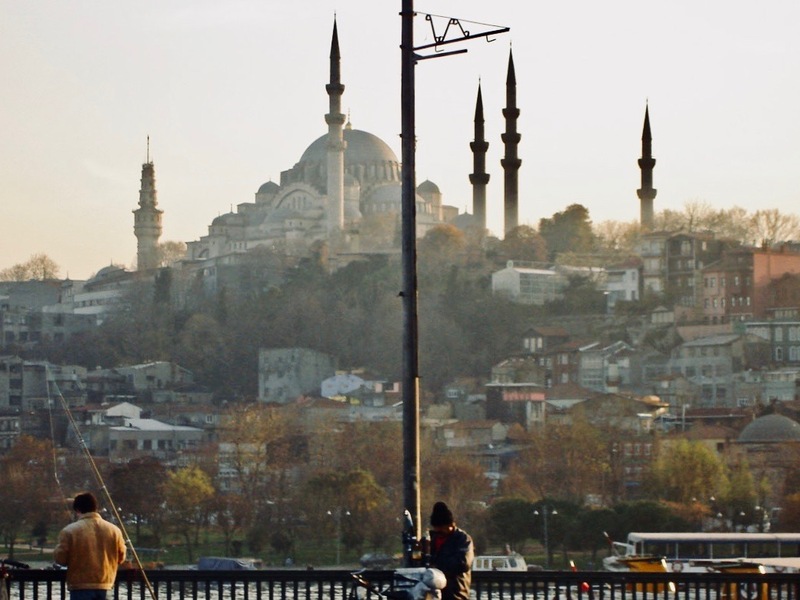 No blog post about Turkey would be complete without a few photos of the amazing city of Istanbul. 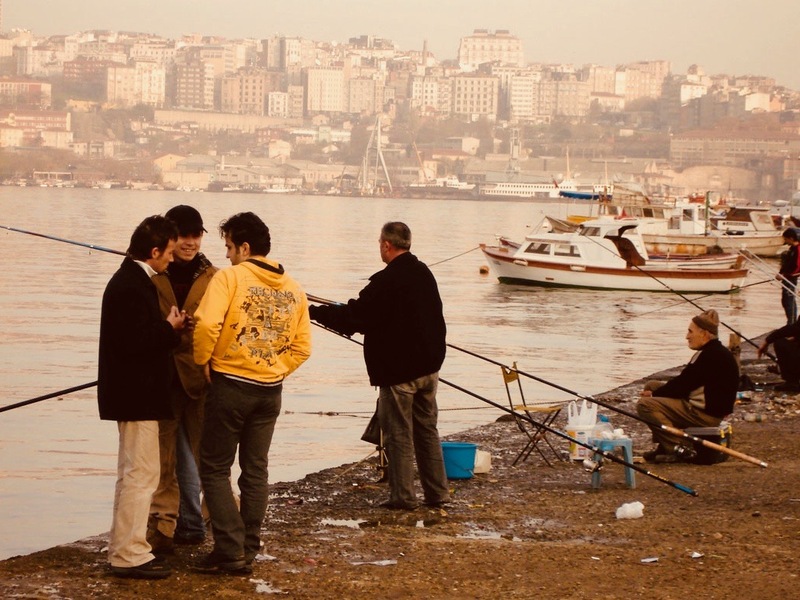 Here, fishermen line up each day to cast their lines into the Bosphorus. Photo by Mark Baker. Istanbul. One of my favorite cities anywhere on earth, and a place don't get to nearly as often as I would like. Photo by Mark Baker. 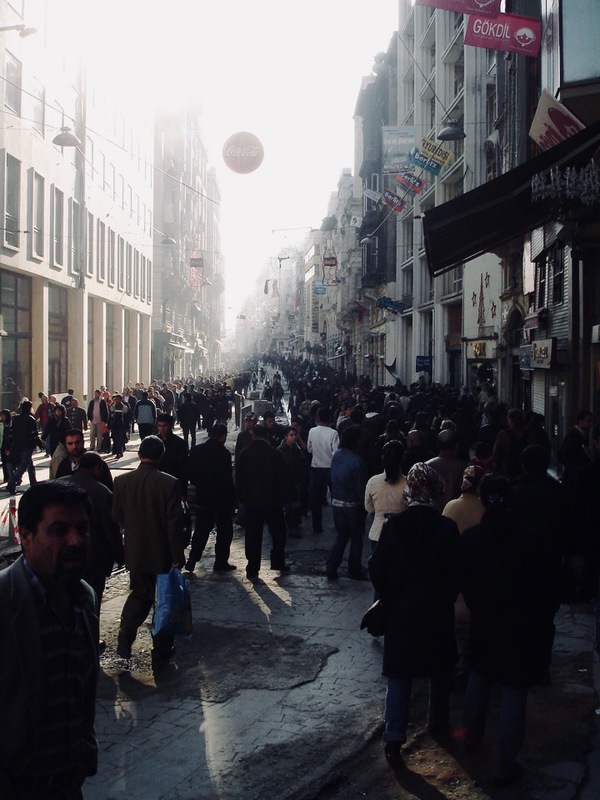 I was always stunned by the streams of people moving through central Istanbul. This was by day, but the crowds were even crazier by night. Photo by Mark Baker. “You point out the connection to Babylonian and German… I wonder if ‘ekuteni’ has anything to do with the Czech ‘tekutý’ (ed note: the modern Czech word for ‘liquid’). I responded by saying I think the point here was that Hittite and languages like German (and Czech) have a common Indo-European root, so that a handful of words for basic things like water may indeed look similar. Only once Hrozny made that insight, could the translation of Hittite really begin. The similarities between Hittite and modern European languages continue to come in. If “maš” is Hittite for “mouse,” Hrozny might have easily recognized it, as the Czech word for mouse is “myš” — not that far at all from “maš”! 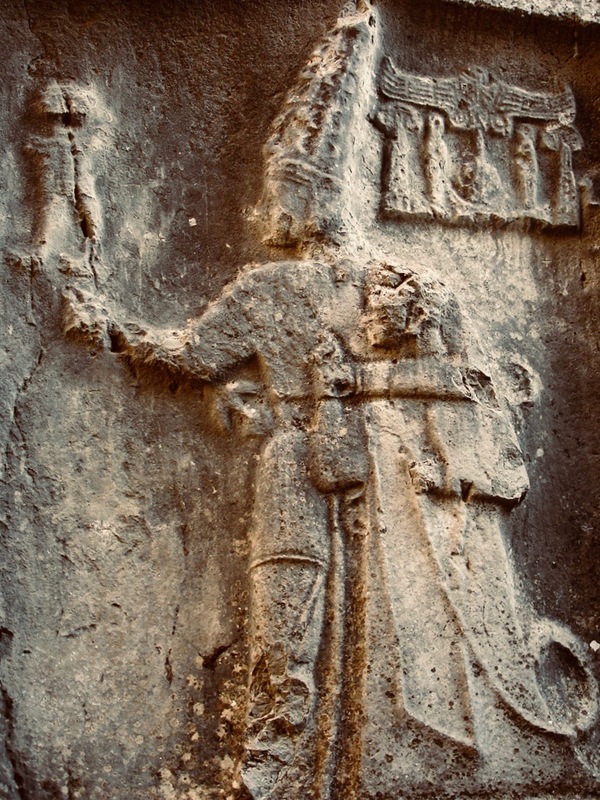 Thanks to Jouna Pyysaloto, of the Proto-Indo-European Lexicon at the University of Helsinki, who retweeted my article, this blog post attracted the attention of Hittite scholars around the world, including in Turkey. The main critique of Hrozny is that his deciphering was based on a lucky guess, rather than any rigorous analysis of the text. When he tried to repeat this with the Minoan Linear B script, he failed utterly. The people who finally deciphered Linear B also made a leap of insight (that its language was an early form of Greek) but that came after years and years of intensive analysis. Hrozny, unfortunately, had a hard time acknowledging he was simply lucky to have been right, which is why his reputation as a scholar today is somewhat diminished.